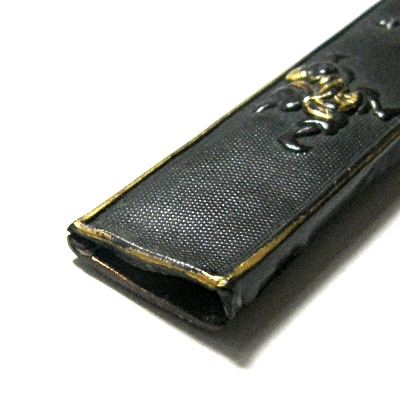 It is made from Shakudo. 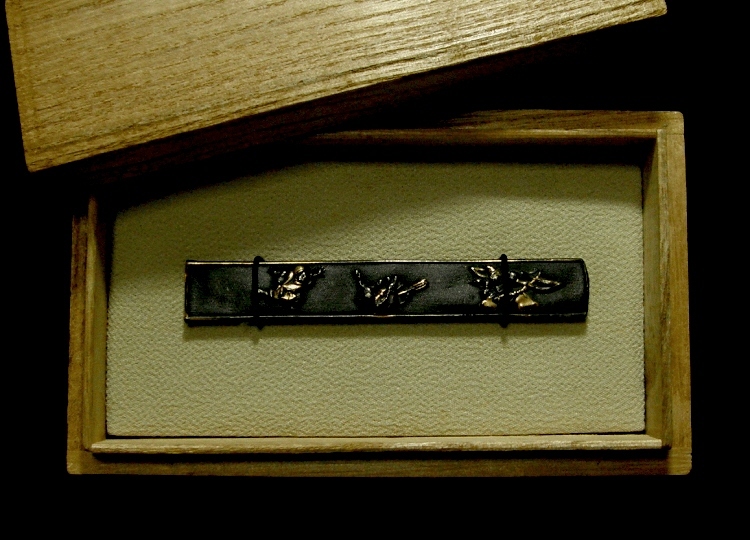 The surface is processed like hard roe (=Nanako-ji). 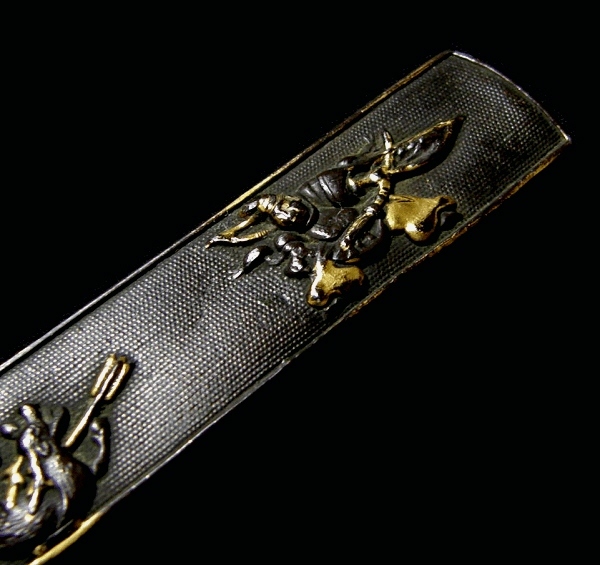 The motifs are expressed vividly and elaborately in high-relief carving, the Iroe and Zogan inlay methods with gold. 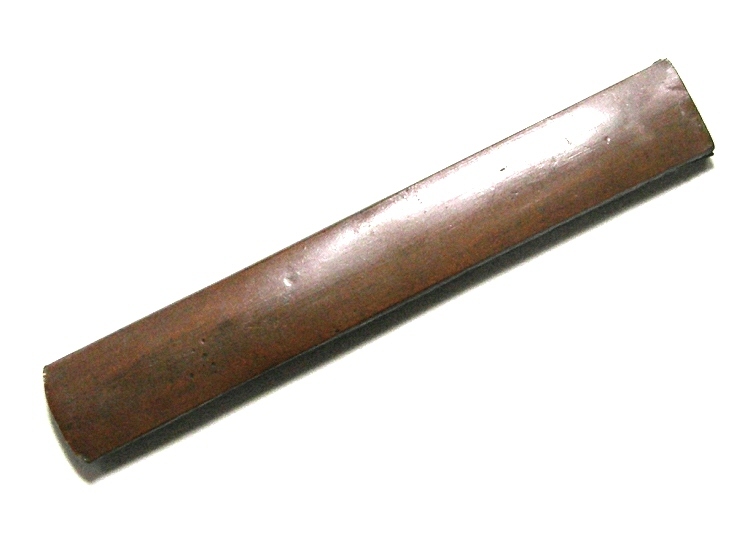 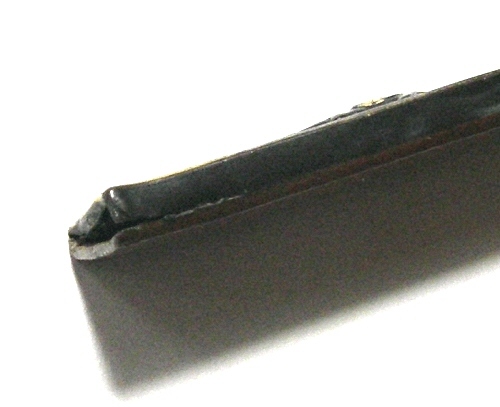 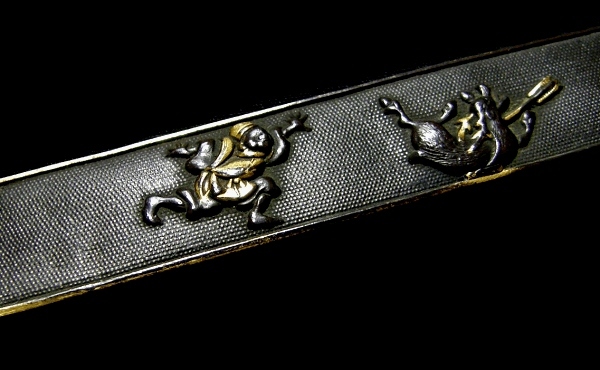 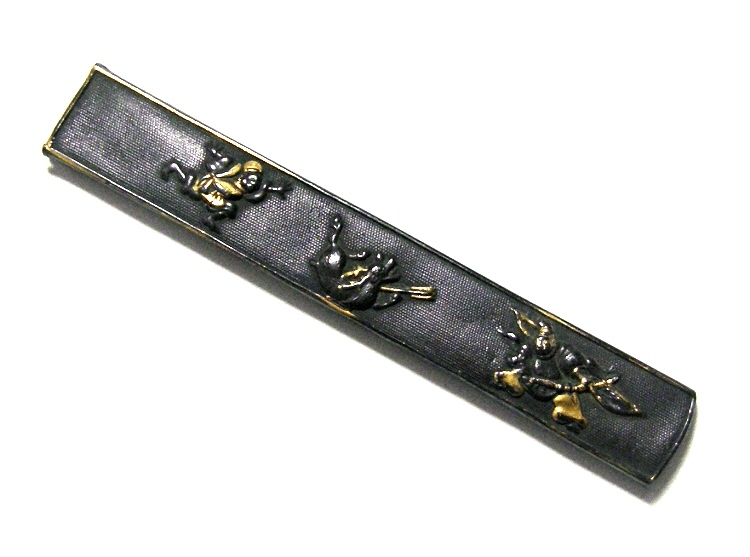 Although, the Kozuka looks gorgeous. 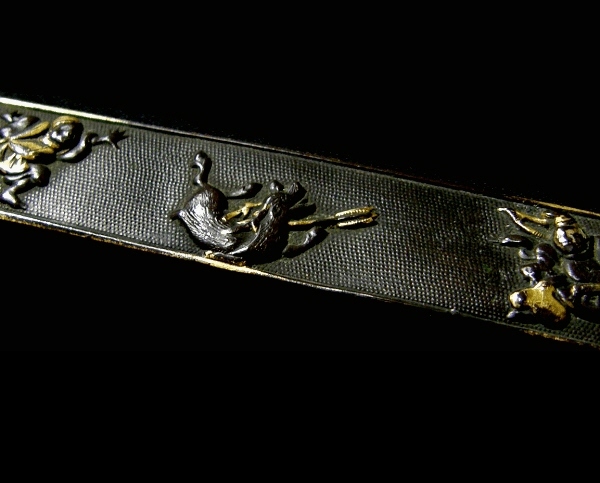 A scene of hunting is expressed in the Iroe technique.